Meet our team during the National IFT Chicago from July 16 to 18, 2016. Erwin Kooij & Robert Wagner will be happy to welcome you to pay a visit at our booth #3610. 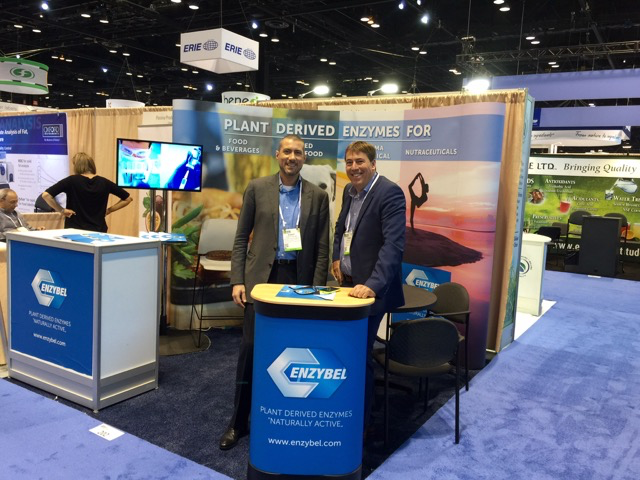 Enzybel, Enzymos Asia Pacific & BSC are the reference for natural enzymes solutions. 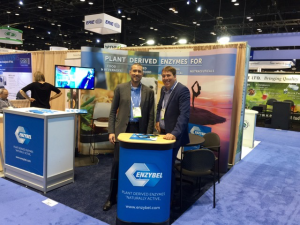 We have been developing plant derived enzymes for decades and want to provide innovative solutions based on a technological knowledge answering to functional issues. Our Bromelain, Ficin & Papain are produced for Food & Beverages, Feed & Pet food, Pharma & Technical and Nutraceuticals, with a unique focus: deliver high quality products with full traceability. 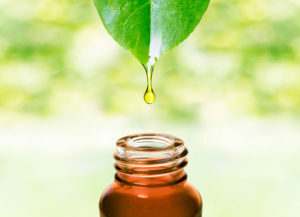 Sotecna is an innovative Belgium-based company whose main activity is the production of 100% pure and natural Essential Oils. Sotecna is internationally renowned for the high quality of its products. Its customers are leaders in the Flavor & Fragrance industries. Since January 2016, Sotecna proudly took over the production and commercialization of snail extract and Enzymatic Products (detergent) from his sister company Enzybel . In addition to the production site of Lessines fully dedicated to essential oil distillation, Sotecna has a new warehouse where the snail extract, enzymatic products are made. Located in the industrial zoning of Ghislenghien, the plant also handle the storage and the logistics. Sotecna diversifies its range of products aiming to offer to his customers a pallet of natural ingredients for their applications in fields as varied as flavors, fragrances, cosmetics and nutraceutics. Biobest – The annual Fethiye Agritech exhibition is attracting increasing visitor numbers year on year. Now in its sixth year, this regional event has exceeded 22,500 visitors for the first time. Biobest Antalya once again exhibited showcasing its locally produced beneficial insects, which generated plenty of interest. “Sweet pepper is still the number one crop for IPM in Turkey,” explains Çağlar. “However, the introduction of locally produced Nesidiocoris is now set to boost adoption of IPM technology in Turkish tomato crops – with over 24,000ha of production. Biobest’s product quality and experienced technical services puts it in a strong position to develop this market.